These summer reads originally intended for kids ages 9-12, are captivating enough for YA and adult readers as well. Each selection launches into fun fantasy worlds. Some are twists on timeless fairy tales, while others take place in their own unique land. If you or your young reader likes any of these selections, good news, as they are each the first in a series so the journey can continue all summer long. Minli has a heart longing for stories and possibility but lives in a dull village with her father and mother where Fruitless Mountain meets the Jade River. Similar to the tale of Jack and the Beanstalk, where Jack buys magic beans rather than something sensible, Minli buys a goldfish from a peddler who promises that it will bring good fortune to her family. Feeling guilty for wasting her family’s money, Minli lets the fish go into the river and as he is released he reveals to Minli that he knows how to get to Never Ending Mountain and meet the Man in the Moon. So she sets off to seek answers, help her family and encounters magical creatures on her way. Gorgeous writing and simple illustrations make this an excellent read aloud for parents with younger kids as well. A fun story with humor shining through each of the four familiar tales of ‘Prince Charming.' After meeting each prince and princess, some who are witty and smart, others who are spoiled and mean, the princes join forces and go on an adventure to rescue Cinderella who has been captured by a witch. Chapter headings such as ‘Prince Charming Should Not Be Left Unsupervised’ are clues to the wit found throughout the book. From start to finish the hero’s guide is filled with good-natured jokes about the faults and strengths of each of the princes, as well as the strong supporting stories of the princesses. A captivating original fantasy about a 10 year old boy named Peter – originally found by sailors in a bobbing basket with a raven that had pecked out his eyes. Like the orphan Oliver Twist, Peter grows up on the streets becoming a skilled pick pocket and thief under the control of an unkind master. One day he meets a Haberdasher selling hats, who seems as if he can read Peter’s mind. The salesman leads him to a coach containing multiple locks that Peter can’t resist opening. Inside he discovers a wooden box containing a set of what appears to be magic eggs. The eggs are actually sets of eyes. The first set of eyes made from the finest gold dust transports Peter to a hidden island which will reveal secrets about his past. Throughout the journey he also discovers the powers of the powers of the slick black onyx eyes and the eyes made of uncut emeralds. Many adults know that the original version of Grimm’s fairy tales are extremely dark and often end very badly for their young main characters. In a Tale Dark and Grimm, Hansel and Gretel overhear a telling of their original gruesome story and decide to run away from home in the hopes of escaping that terrible fate. Similar to a Series of Unfortunate Events, the narrator frequently warns the reader that the tales that they are about to be told are truly awful and to stop reading immediately if they want to hear about light and happiness. The narrator then leads Hansel, Gretel and the reader through twisted versions of their story including dragons, a moon that eats children and complicated quests. This title is on the top end of middle reader. In it we follow best friends Sophie and Agatha as they become students at their respective schools - the School for Good and the School for Evil. Agatha and Sophie’s fortunes end up being reversed as they unwittingly end up at each other’s schools. Each girl falters and then adjusts to training in fields that initially appear to be the opposite of their natural talents, with Sophie taking courses such as Uglification and Henchman training while Agatha struggles through Princess Etiquette and Animal Communication amongst flawless, beautiful peers. The book contains violence and Sophie and Agatha’s friendship is a complicated one. Even so, following the two girls as they find out who and what is really good and who and what is really evil is a thrilling ride. It made seem ridiculous, or ‘riddikulus’ for die-hard fans, to recommend Harry Potter. However, this is a special invitation for kids (or adults) who have read the entire series. This summer, find a spot in the shade of a willow tree, or in the hot sun of an old playground, or overlooking a lake that (with some imagination) could contain mermaids, and re-read the first book. 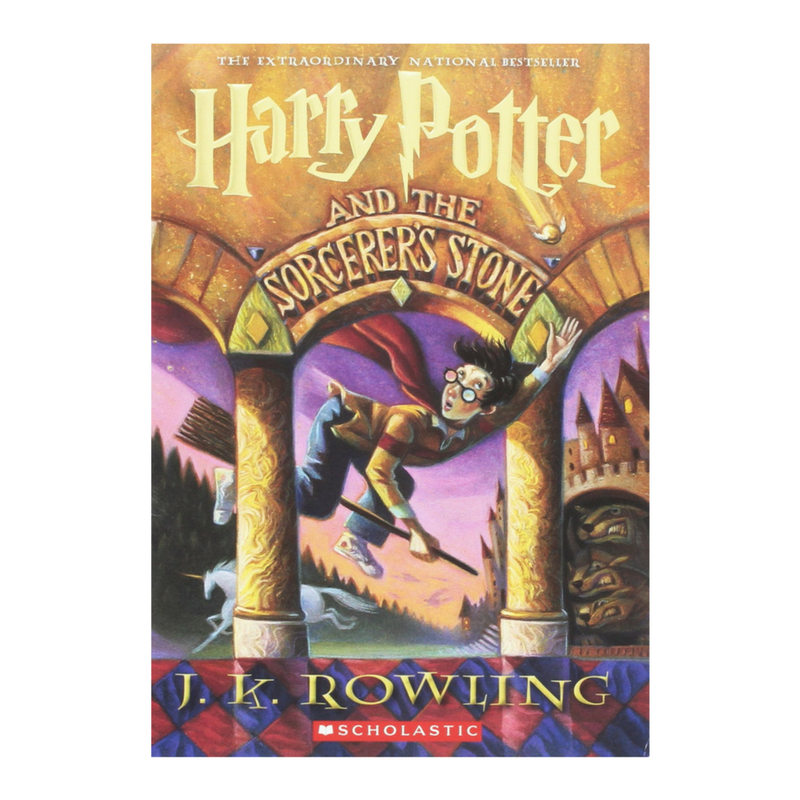 Take time to wonder at all of the hints that were given to this epic tale’s ultimate conclusions from the very start of this wizarding journey. It’s also the perfect book to read to younger kids during summer babysitting jobs.